To use something is not the same as consuming it, as prominent Norwegian philosopher Arne Næss once said. Norway’s national parks is a perfect example of this. The area you are entering is the kingdom of nature and its creatures. The concern and respect for animals and plants come first. Explore large and rare ecosystems, unspoilt nature, and natural habitats for wild animals. The harmony of nature makes its beauty, and its fragility is preserved through the huge national parks. Endangered animals and rare plants have optimal premises for survival. As the national parks are scattered all over Norway, you will often find one relatively close to where you are. Nearly 85 percent of Norway’s national parks are mountains, from gently rolling high plateaus to sharp peaks, ravines, and glaciers. In contrast, four of the national parks are defined as marine, which means that 98 percent of the preserved area in these parks are underwater. People have been exploring many of these areas for about 10,000 years, and now it's your turn. Norway has 46 national parks, and in total there are more than 3,000 protected areas in the country. Seven of the parks are located on the Svalbard Islands. The national parks are found both in the mountains and by – and in – the sea. The national parks are there to ensure the preservation of different types of nature for future generations. Today, there are 46 national parks in Norway. Seven of them are located on Svalbard and cover about 5,600 square miles of the island. The largest park on the mainland is Hardangervidda national park, which covers about 1,321 square miles. There are always room for more people to discover the beauty of the national parks. Exploring them helps build awareness of their existence and the importance of preservation. 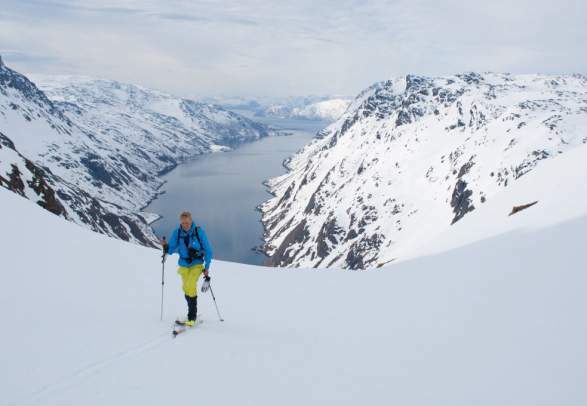 The famous Norwegian right to roam also applies to the national parks, although some areas may have restricted access in the season of nesting and breeding. Your contribution to the preservation of the harmony of the national parks is to remember to leave nature as you found it. Today there are 46 national parks in Norway, seven of them located on Svalbard. Many offer arrangements for outdoor activities with a network of marked paths and trails and overnight accommodation in either staffed lodges or self-service cabins. 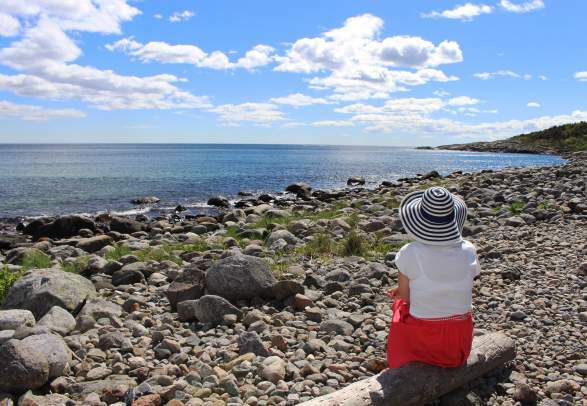 More than 10% of mainland Norway is covered by national parks. 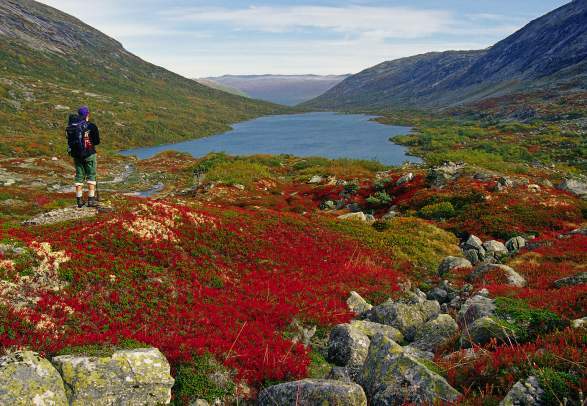 All of Norway’s 46 national parks are suitable for hiking. Other popular activities are skiing, kayaking, fishing and hunting. The so called right of access (“allemannsretten”) has been part of the Outdoor Recreation Act since 1957, it ensures that everybody can experience nature, even on larger privately owned areas. The main rules are easy: Be considerate and thoughtful. Make sure you pick up your rubbish and show respect for nature and people – leave the landscape as you would want to find it.